Umarex Steel Storm Bulk Kit | Easter Weekend Sale! 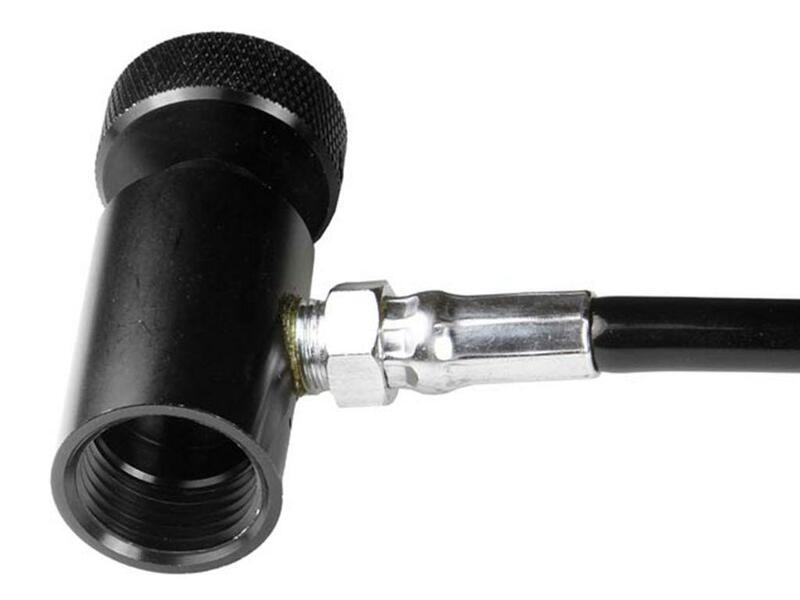 Easy to use, easy to attach Includes hose with bulk-fill CO2 tank connector, which connects to the gun's CO2 inlet Bulk-fill CO2 tank NOT included No more small powerlets. This adapter accepts any paintball bottle. Approx. 1300 shots with a 20-oz. tank & approx. 780 shots with a 12-oz. tank. With this setup, you'll spend more time shooting and less time and money on 12-gram CO2 cartridges! Plug & play...absolutely no alterations are made to your Steel Storm!